Speculation regarding the possible setting of The Elder Scrolls VI seems boundless, and so far, the broad consensus is that it will take place in Hammerfell, a rugged province that’s also home to the Redguard. However, a recent thread on Reddit theorizes that we could end up in a much further, but still familiar, location. Bethesda director Todd Howard challenged theorists when he confirmed that the trailer does indeed include hints about the upcoming game’s setting, giving hope to thousands of fans who have been picking the teaser apart with meticulous sleuthing. A new thread on The Elder Scrolls subreddit suggests that the landmass portrayed in The Elder Scrolls VI teaser could actually be Yokuda. Specifically, Redditor XC_Griff reckons that the three distinct fingers of land jutting out of the shore we see in the trailer could indicate the eastern coast of Yokuda. Lore nerds of the Elder Scrolls series will recognize Yokuda as the ancestral homeland of the Redguard, an archipelago west of Tamriel (the continent where the Elder Scrolls series takes place). At some point in the distant past, Yokuda sank into the sea and forced its native people to flee to Tamriel. No one knows for sure how and why Yokuda was devoured by the sea, but everyone knows what happened afterward. The Yokudans arrived in Tamriel in a bloody campaign called the Ra Gada Invasion, and within months, they claimed Hammerfell as their new home. Henceforth, they were known as the Redguard, possibly from a corruption of “Ra Gada”. 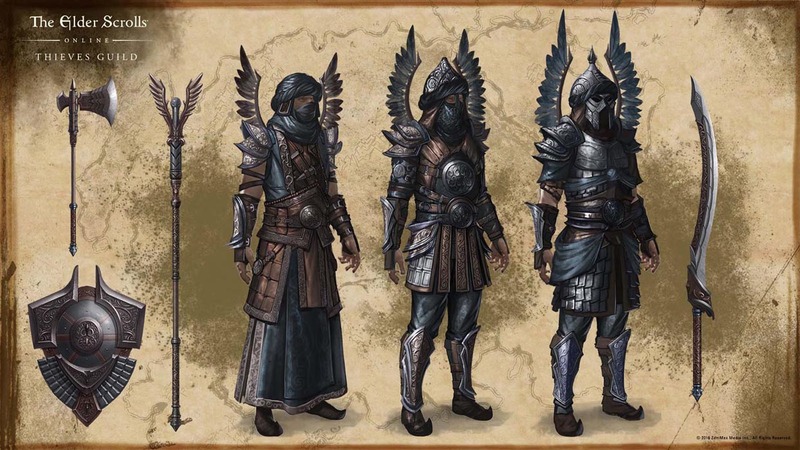 Yokudan troops at the time of the Ra Gada, when they whooped all of Tamriel's collective asses. That sounds like a pretty badass place to set an Elder Scrolls game. However, unlike Yokuda, this theory doesn’t hold much water. Based on everything we know so far, the upcoming game is almost certainly set in Hammerfell. Furthermore, dedicating an entire game to a sunken continent is probably not going to happen. After all, the series has always been defined by Tamriel, much in the same way that Fallout has always been about the United States. However, that certainly doesn’t mean that Yokuda won’t appear in the game at all. If Elder Scrolls VI does indeed take place in Hammerfell (the seagulls gave you away, Todd! ), then it’s very possible that we may get to visit Yokuda in a lesser capacity. Any Elder Scrolls game set in Hammerfell would revolve around Redguard lore, so expanding upon that with a trip to Yokuda makes sense. Bethesda has a history of thematic follow-ups via downloadable content. For The Elder Scrolls IV: Oblivion, players were able to visit the Shivering Isles in the game’s expansion pack, the eponymously named The Elder Scrolls IV: Shivering Isles. The Shivering Isles is the home of Sheogorath, the Daedric Prince of Madness and a fan favorite. Sheogorath, a fickle god who is also one of the trolliest characters in video game history. So while XC_Griff’s theory that Elder Scrolls VI will be set in Yokuda is a big stretch, the suggestion that Yokuda could pop up eventually is not. Let’s hope he’ll be vindicated when Elder Scrolls VI is finally out, probably sometime in 2024.